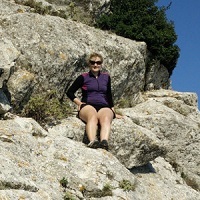 This entry was posted in Gear Tests and tagged backpacking gear cimalp hiking gear mountaineering gear on March 29, 2019 by Laura P.
The CimAlp Quebec pants are made of the Softshell Expedition 340g/m² fabric which consists of 100% polyester. The Expedition fabric is made up of three layers; a soft inner insulation layer, a breathable waterproof membrane and a very sturdy, but stretchy outer layer treated with a durable water repellent (DWR). The inside of the pants is made of a soft 160 microfiber fleece, as opposed to most other soft-shell pants (including my old ones) which merely have a brushed lining. 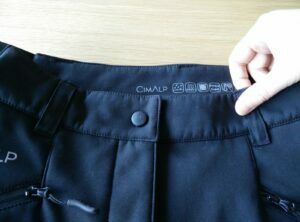 CimAlp themselves rate the insulation level of the pants to be extra warm and thus suitable for wearing at -30⁰C/ -22⁰F (intense activity level) to -15 ⁰C/ 5⁰F (low activity level), but I’d have to say that they are also good for temperatures up to 0⁰C/32⁰F (see more under Testing). I didn’t get to test the pants in rain, but the technical specs reveal that they are quite water-resistant. 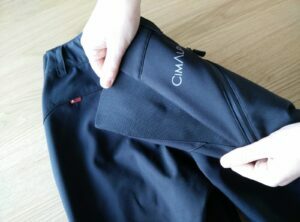 The breathable waterproof membrane has a hydrostatic head of 10.000 mm; the hydrostatic head indicates the pressure of water required to penetrate the fabric and is thus a way to measure how waterproof a fabric is – read more about this in our article Hydrostatic Head and Breathability. A hydrostatic head of 10.000 mm is common among high-quality fabrics and suitable for keeping you dry in hours of light to moderate rain, while only those rare fabrics with a hydrostatic head above 15.000 millimeters will keep you dry in heavy rain. As we have written many times, there is always a trade-off between the water-resistance and breathability of a garment; you need both to stay dry. If you disregard breathability, you will anyway end up soaked in your own perspiration. 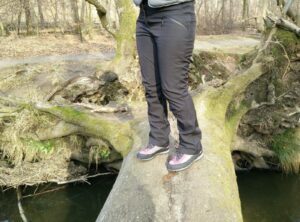 The pants are designed to provide great freedom of movement, so the knees are articulated for whenever you need to take those higher steps. They are also equipped with triangular elastic inserts at the hips which again make it feel more comfortable to move around (see more under Sizing and Fit below). The tag-free waist line features belt loops, but I think for most women the elastic inserts will be enough to keep the pants comfortably in place. 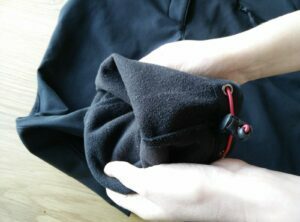 There are only two zippered pockets with a mesh inside and both are placed at the hips. This is my only real complaint with the pants – women’s pants usually fit quite snugly at the hips (if not all the way down to the ankles) and carrying items in the hip pockets is thus rather uncomfortable if it is anything bigger and more rigid than a Post-It. 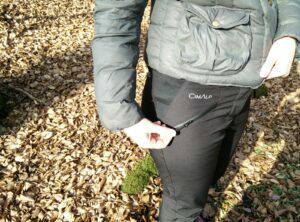 For the CimAlp pants it would be really convenient to have a small zippered mesh pocket placed where the pants are looser, like above the knee or so. 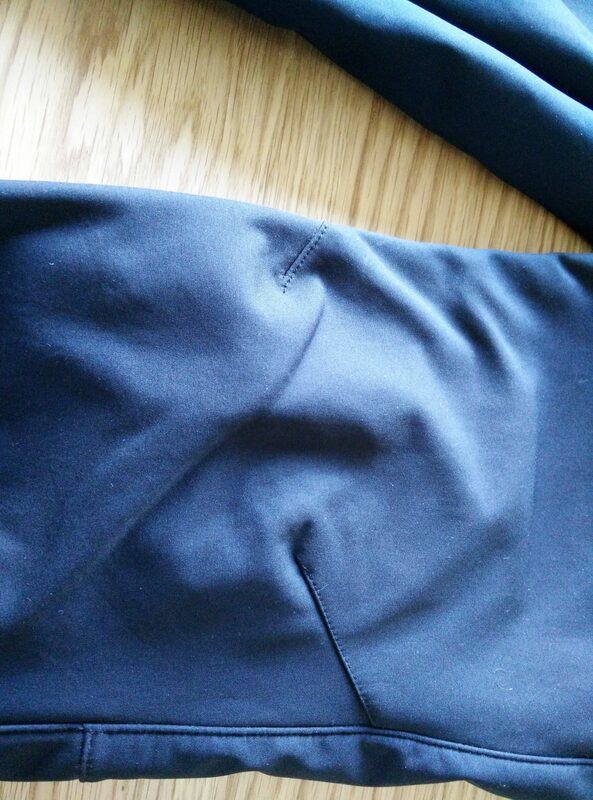 Pockets placed on the behind would also be a better option than hip pockets. 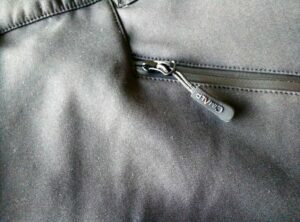 All zippers are high-quality and have a little CimAlp tag to make (un)zipping them easier. 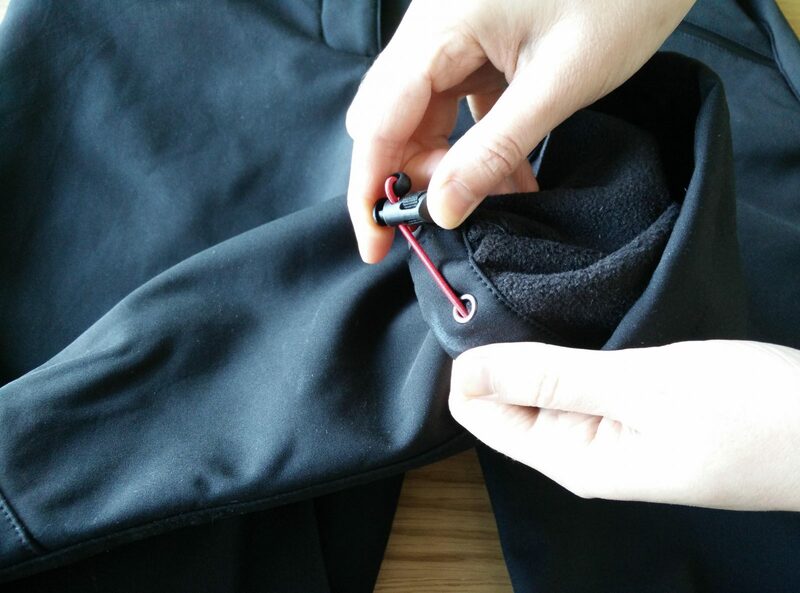 At the bottom of the pants there are also drawcord closures to adjust the pants around boots etc. According to CimAlp’s size chart, I’m just between sizes M and L which is typical for me having a narrow waist and wider hips. Nevertheless, I decided on size L as I wasn’t sure of how warm the pants would be and anticipated that I might have to pair them with long winter underwear. This proved unnecessary as the pants are warm enough on their own, but I’m still glad I took the larger size for a bit more comfort. As mentioned above, the CimAlp Quebec pants have triangular elastic inserts at the hips which improve the fit and comfort as the elastic inserts will follow the curves of your body as you move. Length-wise I was also happy; the inseam on my pair in size L is 79 cm (31 inches) and I’m 173 cm tall (5’8’’). 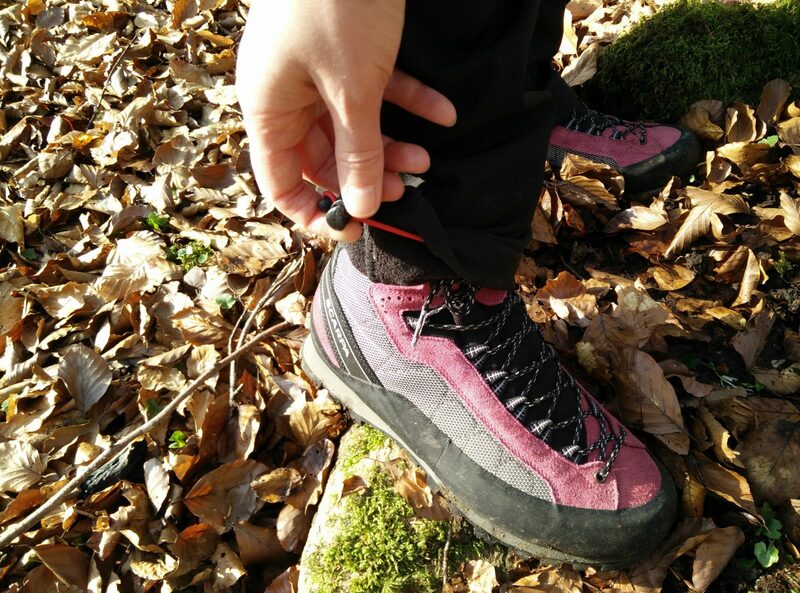 Petite women who are the same size as me in terms of hip and waist circumference might be happy to use the drawcord closure at the bottom of the pants to make sure they don’t reach below the heel of the boots. The CimAlp Quebec trousers can be washed at 30⁰ C in the machine, but you should avoid fabric softener and bleach as well as tumble-drying them. Due to the lightweight synthetic fabric they anyway dry very fast. If you are going to wash the pants a lot, be aware that the DWR-treatment will deteriorate faster, and you will eventually have to re-waterproof them with a DWR-spray. 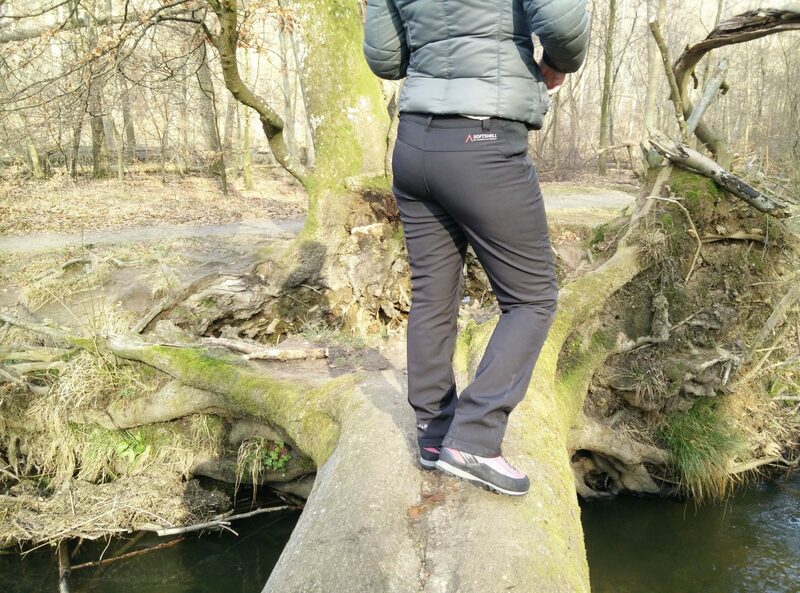 I wore the Quebec pants on the Moesgaard Museum trail as well as on other hikes and shorter walks in the area. As mentioned in the beginning, the weather has been relatively mild in the first months of the year and thus I have had hard time testing the pants in temperatures below the freezing point – and keep in mind that the Quebec pants are made for temperatures from -30⁰C to – 15⁰C. 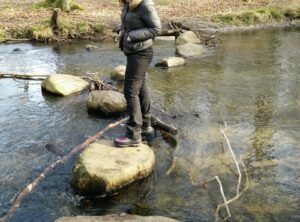 The temperature during the Moesgaard Museum hike was about 6⁰C and at a low to moderate activity level (walking) I’d have to say that the pants were only a bit too warm. 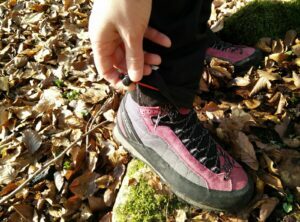 They were lovely to wear most of the way; it was only towards the end when the terrain got a bit steeper that I felt how they got too warm to the point that I even had a bit of perspiration on my legs. I would thus say that the CimAlp Quebec pants, depending on activity level, are good for temperatures up to 0⁰C/32⁰F – for women, at least. When checking out the brand specifications for the Quebec pants, I did notice that the male model of the pants, made of the exact same fabric, has the same insulation rating (i.e. being suitable for -30⁰C to – 15⁰C). This got me thinking about the known fact that women get cold faster than men – and thus that women might be comfortable with the same insulation level at a higher temperature than men. This is not some self-made factoid about differences between the sexes, but for example reflected in the European EN 13537 standard for rating the comfort temperature on sleeping bags. One could thus argue that CimAlp could raise the temperature rating for women slightly. If you have any questions about this product, drop me a line in the comments below.